Power Rangers in Montreal or Quebec City? Inform me about the next events for Power Rangers. Enroll yourself to our priority waiting list for Power Rangers to be alerted when new tickets are available. Filling this form doesn't engage you to any purchase. The Power Rangers are coming to Montreal ! On March 25th, 2018, the mighty outfit will be performing at the Bell Centre. 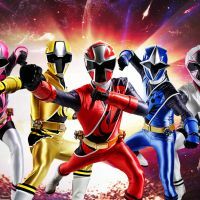 Celebrating their 25th anniversary, Saban's Power Rangers will be hitting the road with a North American Tour over the course of a few months. Don't miss the Power Rangers Live show in Montreal next march !